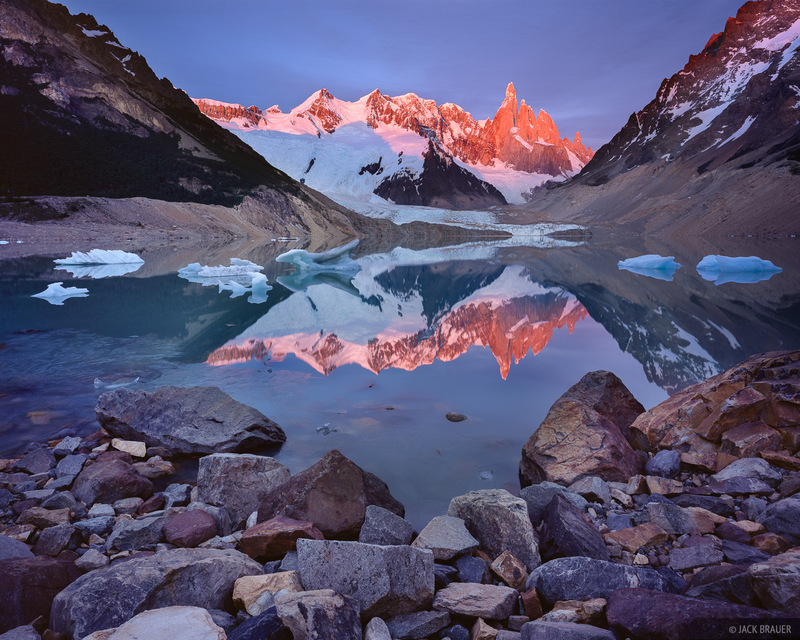 Sunrise alpenglow reflection of Cerro Torre, 10174 ft., in Lago Torre. In this perpetually windy region, calm lake reflections are a very rare treat, especially in a lake this large. The enormous scale of these mountains is difficult to comprehend; consider that Cerro Torre towers 7,000 feet above this lake! Parque Nacional Los Glaciares, Argentina - November. Photo © copyright by Jack Brauer.